As part of Finchley Literary Festival 2015, I am running a practical workshop for writers who like walking, like writing, and want to be more creative. A 2014 study from Stanford University in the US has shown that people are much more creative when they are walking as opposed to when they are sitting still. The study involved 176 college students as they completed certain creative thinking tasks. They found that when people were walking, they were 60% more creative that when sitting around. This works by the increased blood flow all around the body including the brain which then becomes stimulated. On average we sit down for almost 10 hours of the day. This can lead to flabby behinds, heart disease, diabetes, and a large number of cancers. However, just 30 minutes of walking each day is enough to reduce your risk of heart disease, colon cancer, breast cancer and dementia. The Walking Writer workshop is all about nature and writing. Many writers including Virginia Woolf, Ernest Hemingway, and Frank O'Hara used walking as a way of stimulating their writing. Beethoven was an avid walker too, he always took pencil and paper to write down anything that struck him. Walking is not just good for the physical body; it is good for the mind too. For William Blake and William Wordsworth, writing was a way to leave the outside world behind. And another walking enthusiast was Charles Dickens, sometimes up to 30 miles a day or night. He created some of his most remarkable and memorable characters when out walking and so can you! We will be retreating from the busy everyday into our own particular creative worlds with an emphasis on sight, sound, smell, touch and hearing and there will be some readings. We will be writing and walking in the wooded areas of Finchley. 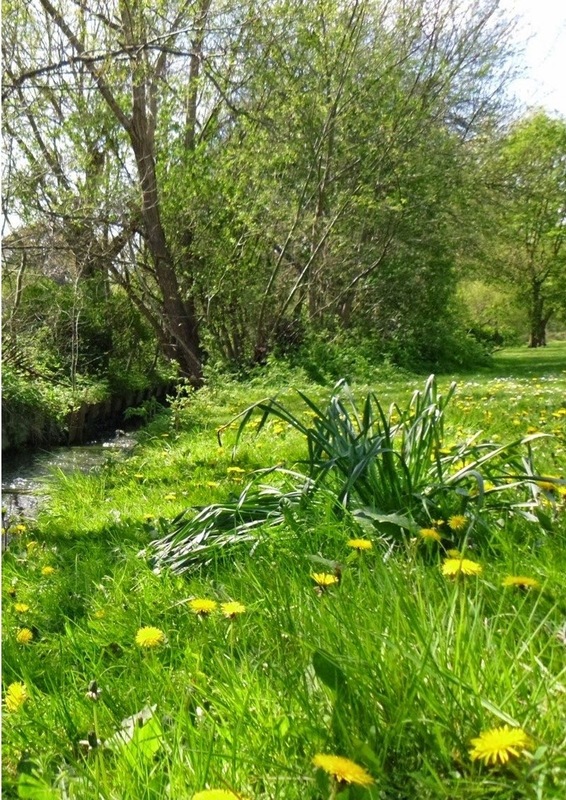 We will meet at Finchley Central and make our way down to the beautiful Dollis Brook where we will write among the trees. You will have a chance to discuss your latest writing project, make new writing friends or meet old ones. We will stop for lunch at The Redwood Café in Swan Lane Open Space.